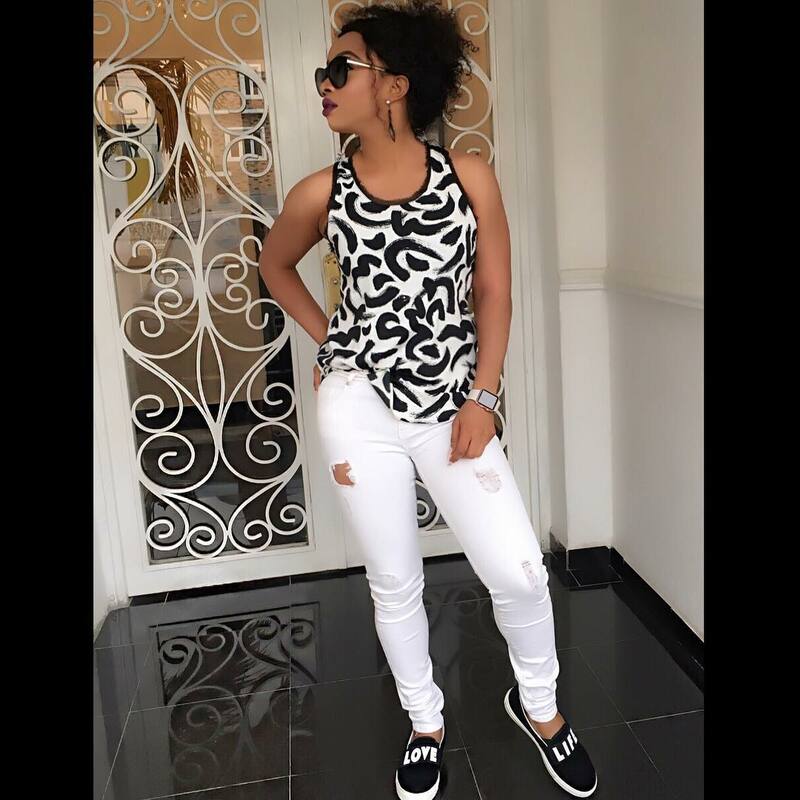 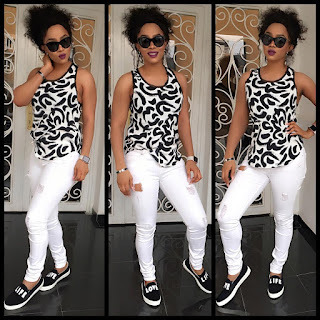 Glowy: Toke Makinwa in Topshop TIGA Love Life Trainers..
Toke Makinwa in Topshop TIGA Love Life Trainers..
Toke Makinwa is a lover of the luxury life and she sure doesn't hide that fact at all.. She shared this really cute pictures of her look out yesterday where she wore a monochrome colored tank top on a white ripped jean trousers and then finished up with a Topshop Tiga Love Life Trainers. 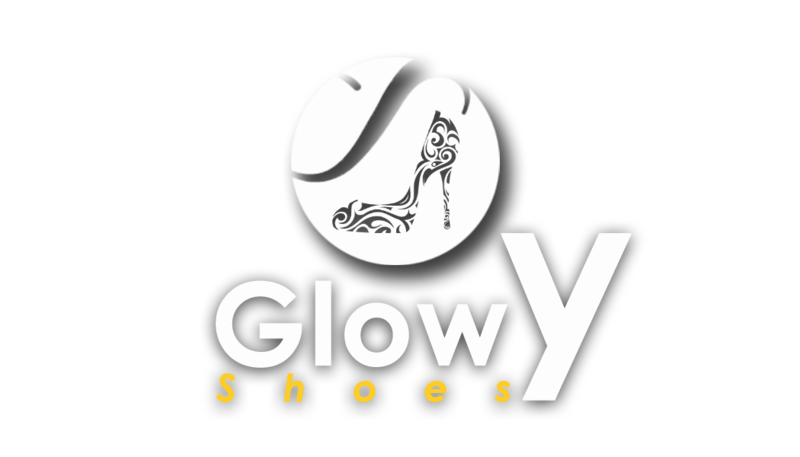 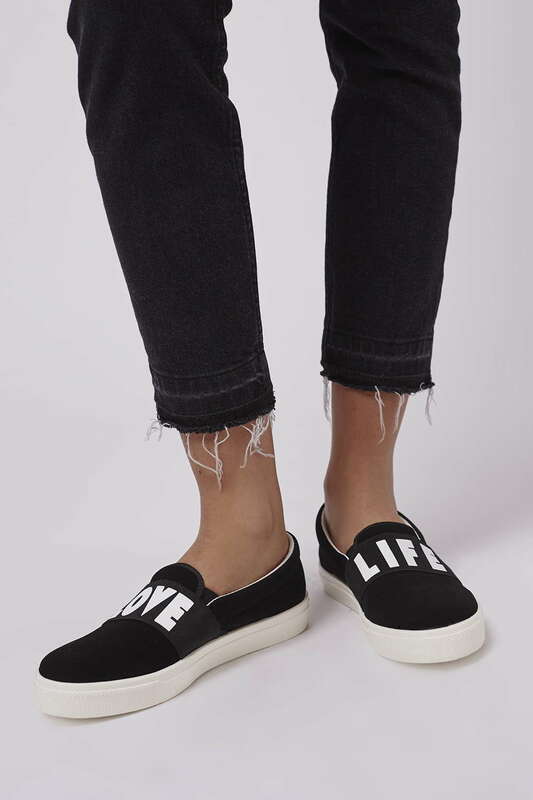 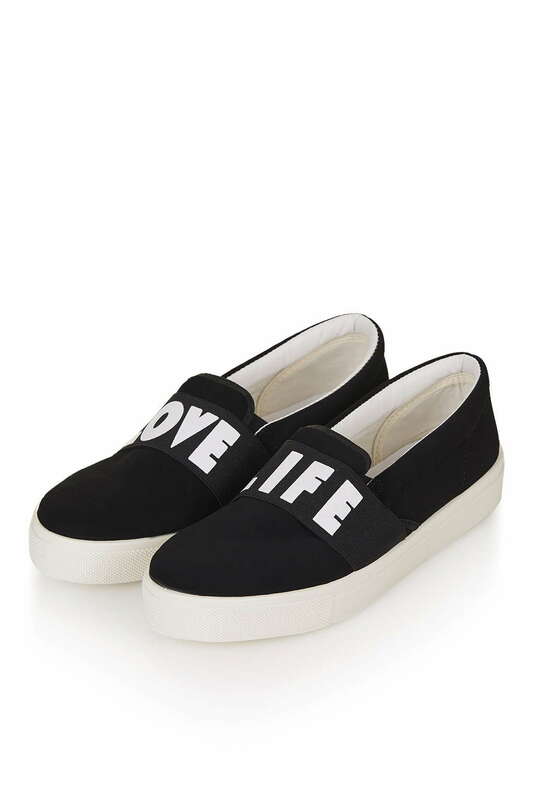 The shoe features a black suede upper, elastic front, contrasting ‘love life’ motif and a white sole. 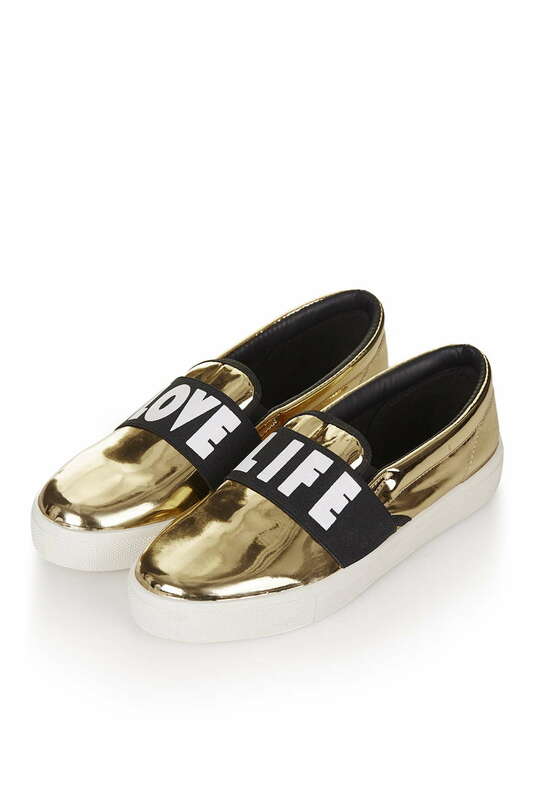 It's also available in mettalic gold and it goes for £24.00 which when convert should be around 6,800+.... not too bad price yh? 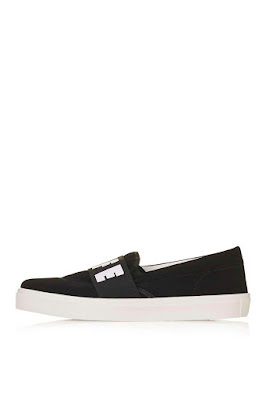 and you can purchase the shoe at TopShop. 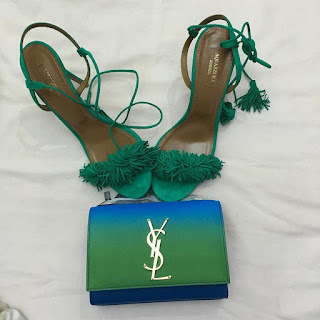 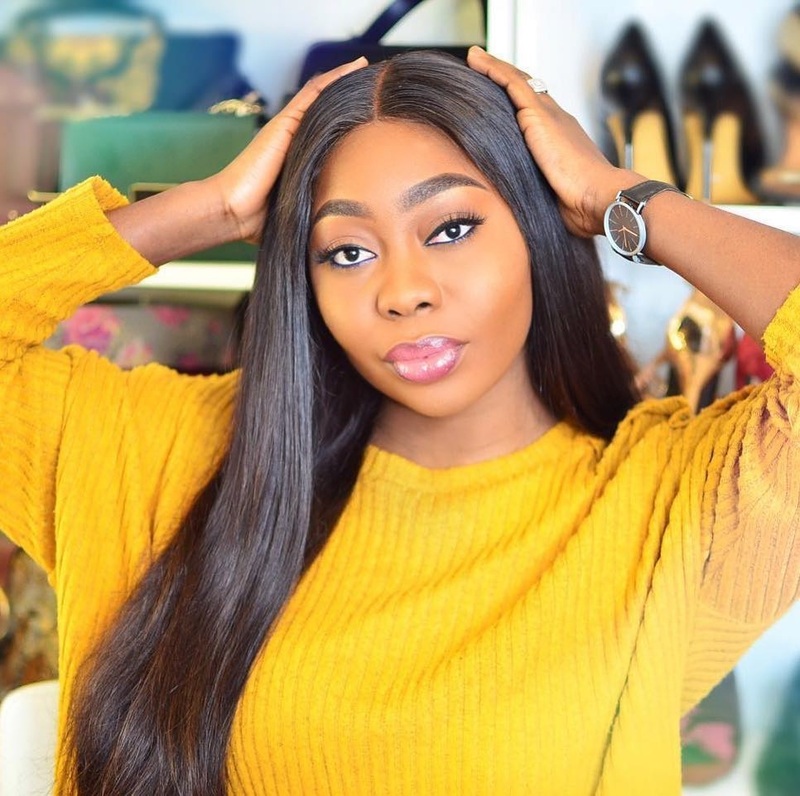 Toke shared this shoe and purse picture... i guess this is what she's gonna be wering to turn up during the weekend. she's worn this shoe before.Check it out here.